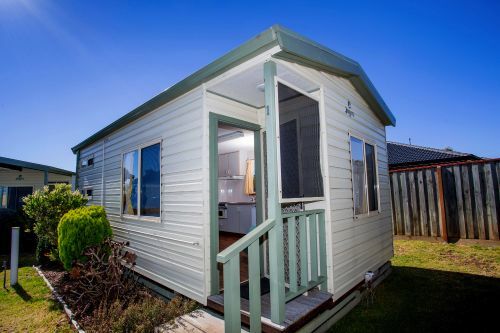 A smaller studio style cabin ideally suited for couples or solo traveller. 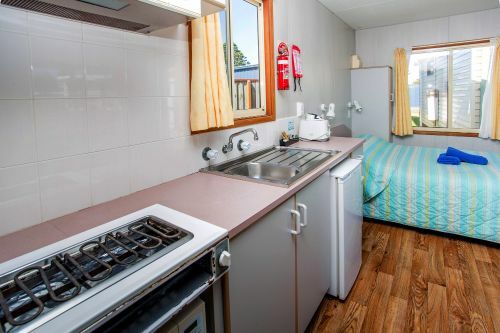 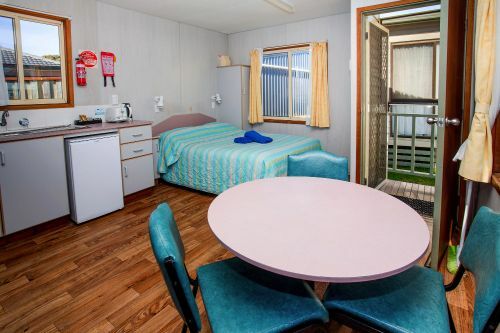 The kitchen area has a cook top and grill, a small refrigerator and microwave, table and chairs, a small sofa and LCD TV and DVD, iron and ironing board. 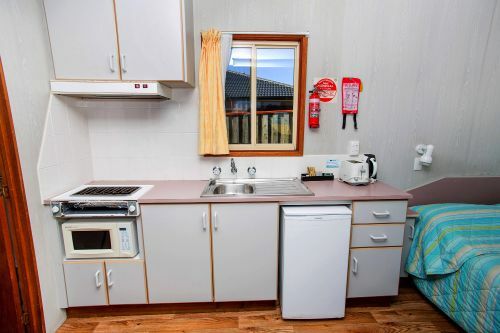 This cabin also has reverse cycle air-conditioning. 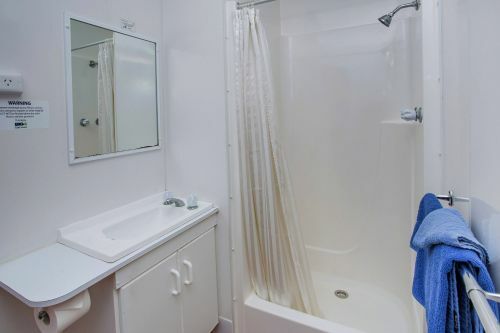 Complimentary shampoo and conditioner not included. 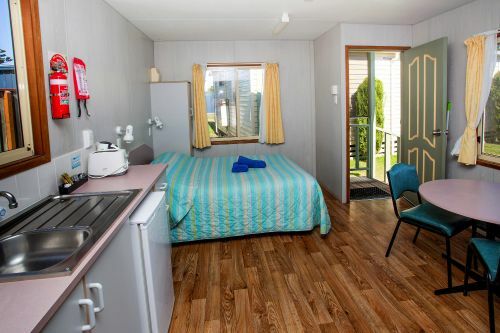 The Plover Cabins are our entry level cabins and very popular for those staying for one or two nights.